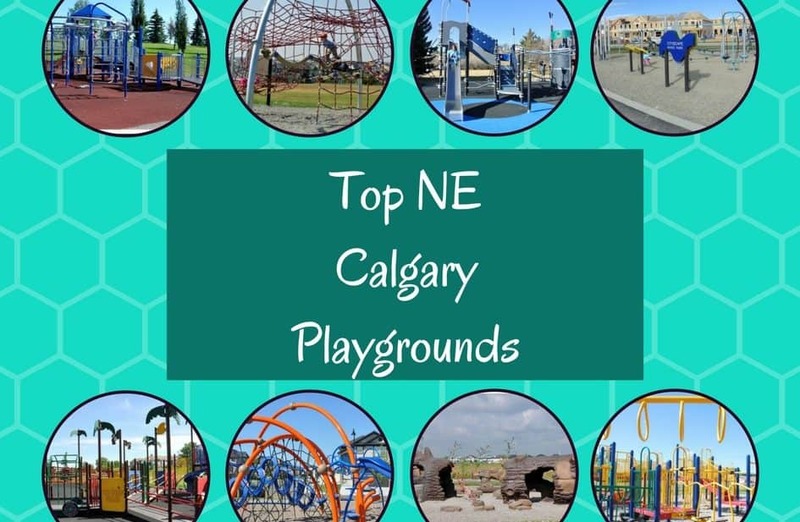 This is a list of the best playgrounds I’ve found in NE Calgary. 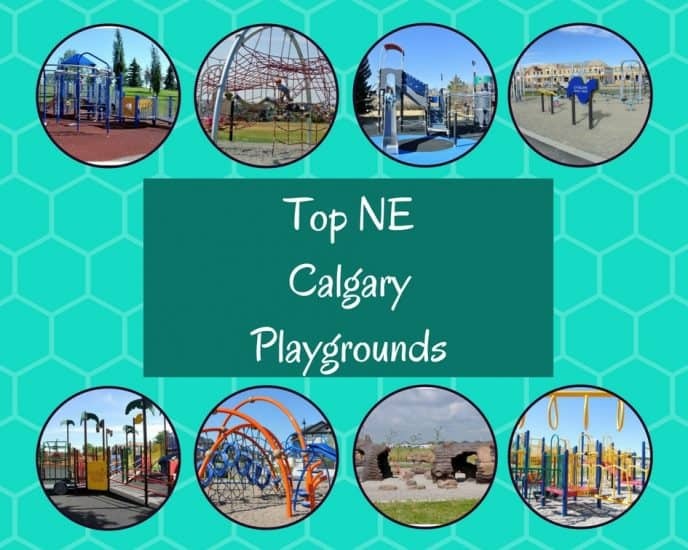 Is there a playground you think should be on this list? Looking for a central playground? 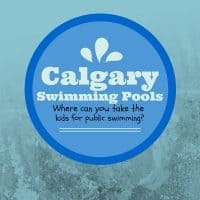 Check out my list of the best Central Calgary Playgrounds. Westwinds/Castleridge – 233 Castleridge Blvd. NE. 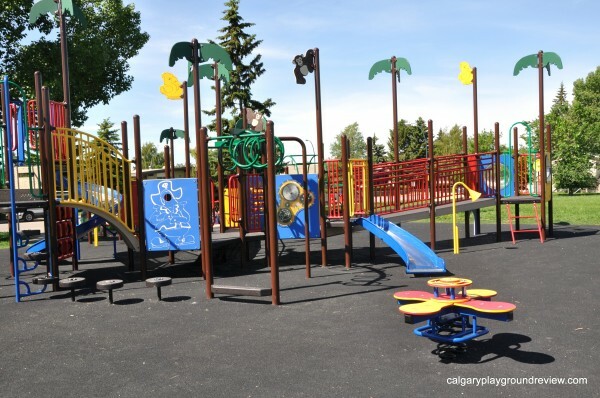 Located on the South side of Prairie Winds Park this playground features accessible flooring, saucer swings and a huge Merry-go-round spinner (Apollo). 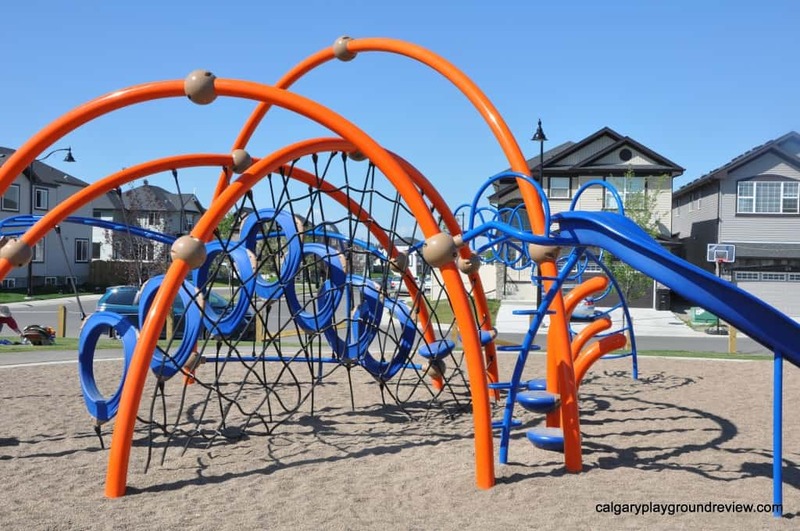 This brand new playscape is located in on the North side of Prairie Winds. 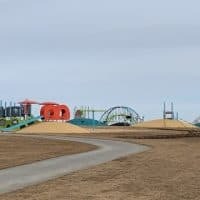 It is a different style of playground from most in the city as it uses a ‘natural playground’ setting with hills, slides set into a hill and a long double zipline. 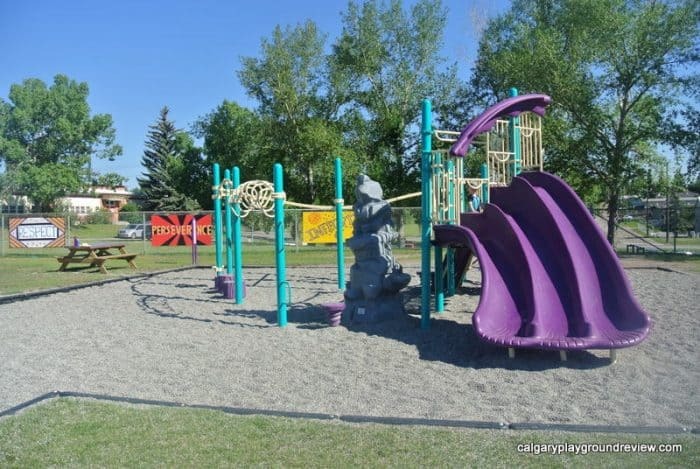 This playground is also right next to the new wading pool with a lazy river and spray park. Prairie Springs is a real destination park. Near Saddlebrook along the Eastern portion of the Greenway just South of Stoney Trail. This playground is a little hard to get to, but it’s worth making the effort. 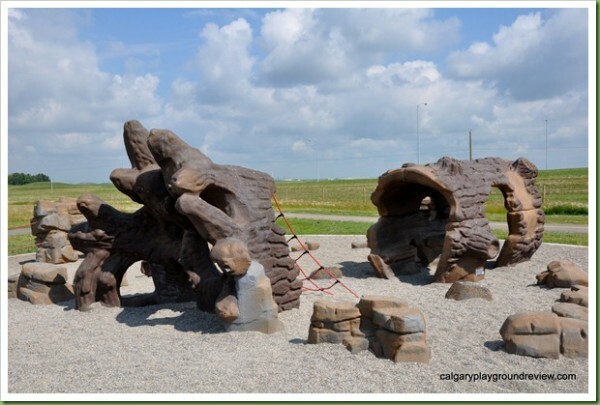 The climbing features are shaped like bears, rocks and logs making it different from your typical Calgary playground. Thorncliffe – 750 Blackthorn Rd. N.E. 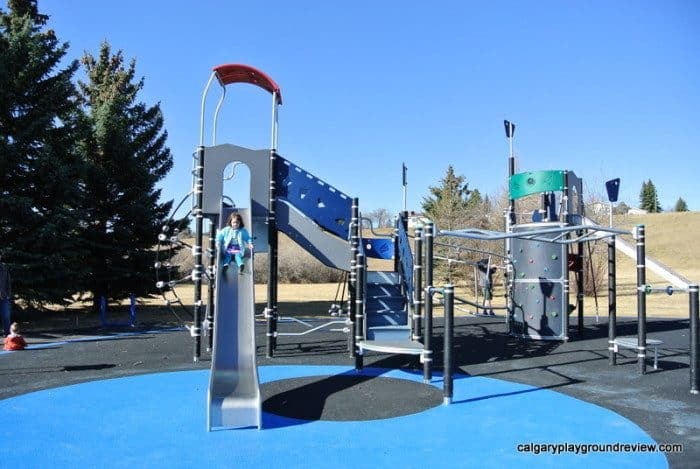 This playground is designed for kids 5-12 and is more challenging than most playgrounds making it great for older kids. 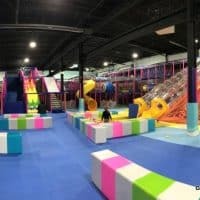 Younger kids can still have fun here but may have trouble accessing some things and the stairs on the one climber can make it so kids can go higher than you may be comfortable with. 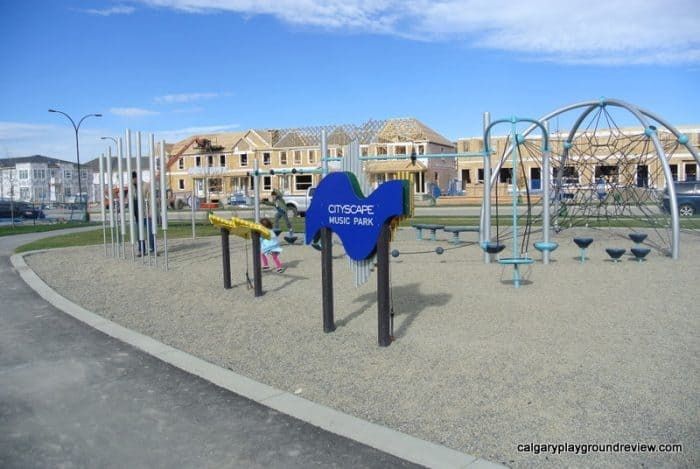 Located in the new NE community of Cityscape along Calgary’s greenway pathway system. Kids of all ages will love the musical stations and the web climber can be used in different ways by kids of a wide variety of ages. This playground is geared towards toddlers and preschoolers. It features accessible flooring, a cute jungle theme and equipment perfect for their smaller size. This playground has an usual set of equipment that I haven’t seen anywhere else in the city. It’s great for bigger kids and will provide a different kind of challenge from what they are used to. 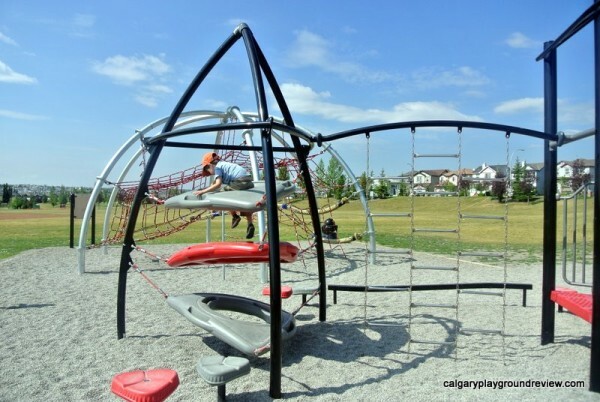 It also has swings and a preschool climber making it great for all ages. This is a great playground for challenging school-age kids. Younger kids will still be able to have fun on the climber with the slides. The playground is set back from the school which gives it a nicer setting than a lot of school playgrounds although there is still very little shade. 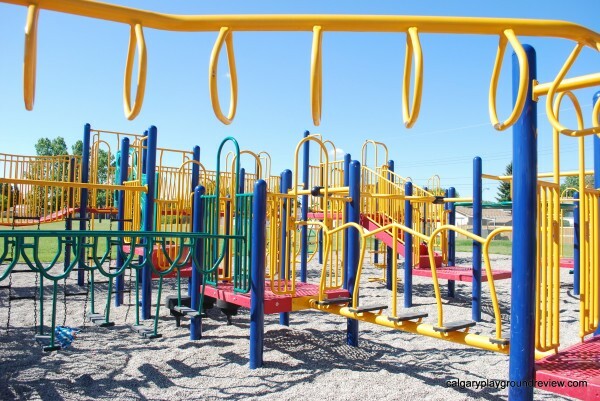 This school playground features a huge interconnected climber and is great for older kids. It lacking in shade, but has a large merry-go-round climber (Apollo) and plenty of slides and bridges. Marlborough Park – Madigan Dr. and Manora Dr. NE. This school playground has a firetruck feature that younger kids will love and tons of different climbing equipment for older kids. 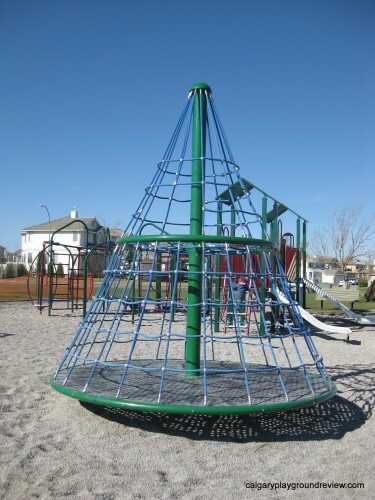 This playground features a large climber, a saucer swing and a large Merry-go-round spinner (Apollo). 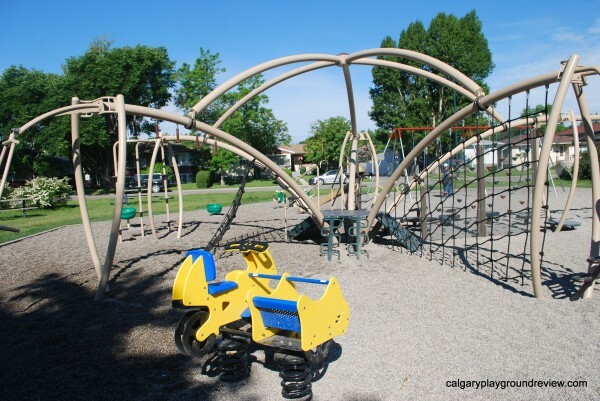 The equipment at this playground is really different from most in Calgary. Older kids, in particular, will love testing their skills on this playground. 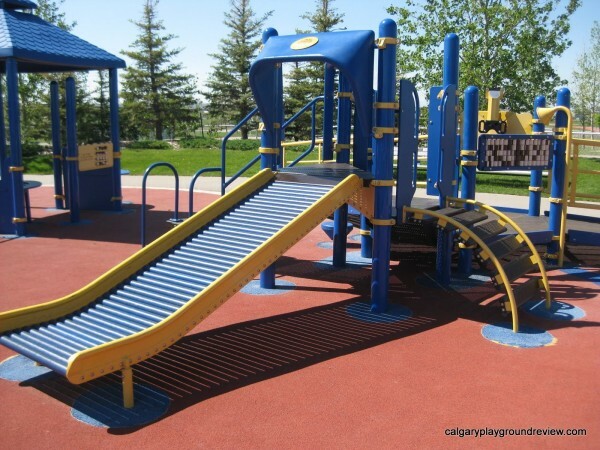 This playground is a little isolated but it has some great features for kids with special needs and toddlers. It also has one of the few rollerslides in the city. This playground is just on the east side of centre street. 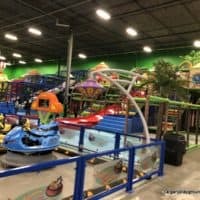 It’s not the biggest playground but it has some great features like a zipline and triple slide. What playground would you add to this list?